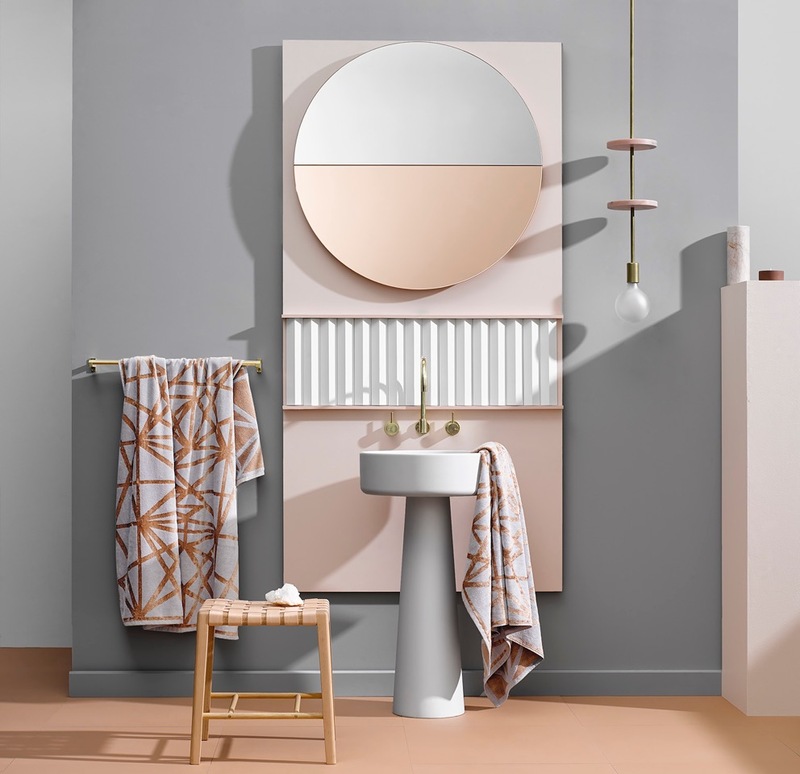 Ninnho does it again with a unique and striking design – this Diamond Bath Mat is a designer game changer! The shaped Diamond Bath Mat is an original design inspired by Antoinette Ferwerda’s interest in precious gem and fractal formation. The Diamond Bath Mat has a linear pattern woven in 100% cotton to match your Diamond Bath Sheet, Diamond Bath Towel, Diamond Hand Towel and Diamond Wash Cloth. A timeless colour palette in warm, sandy gold with pale grey, the Diamond Bath Mat is soft and highly absorbent, making it a luxurious, functional designer statement in your bathroom. Designed in Melbourne by artist Antoinette Ferwerda, this Forever Ninnho design has been inspired by Ferwerda’s interest in precious stone formation and fractals. This linear pattern reflects light with its shiny gold sheen. A timeless colour palette in warm gold and soft grey, this is one Diamond that is set to be your part of your daily luxury. Ninnho’s pure cotton towels are designed in Melbourne and crafted in Europe. Composed of 100% finest quality cotton.